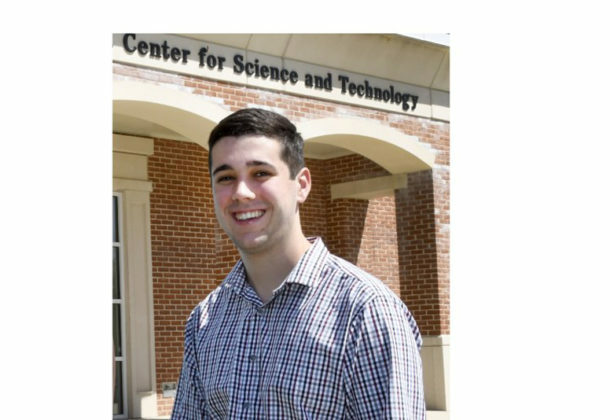 A 20-year-old College of Southern Maryland student from Dentsville has been able to benefit from government partnerships with the college, taking full advantage of the school’s connection to labs and Navy bases in the region. Noah Schaeffer is a relative newcomer to Southern Maryland, moving to the region with his family after he graduated from Neshaminy High School in Langhorne, Pennsylvania. Mr. Schaeffer graduated May 24 with an associate degree in engineering, plus he gained experience through a local internship and an all-inclusive US Department of Defense SMART Scholarship, which will fund the remainder of his undergraduate degree. Studying engineering at the college taught Mr. Schaeffer how to meticulously document all the steps taken when creating something, he said. “CSM professors stressed the phrase ‘clear, concise, neat and complete.’ I believe this helped shape me to become a better student,” he said. After he graduated, Mr. Schaeffer returned to an internship position at Naval Surface Warfare Center Indian Head Explosive Ordnance Disposal Technology Division (NSWC IHEODTD) for the summer. He will continue working on his education with the University of Maryland College Park through the CSM-Navy Southern Maryland Program, a partnership that allows him to take the majority of his classes locally at the Southern Maryland Higher Education Center in California. After he earns his bachelor’s degree, Mr. Schaeffer said his goal is to create or help design something to benefit society. “I never want to stop acquiring knowledge,” he said.